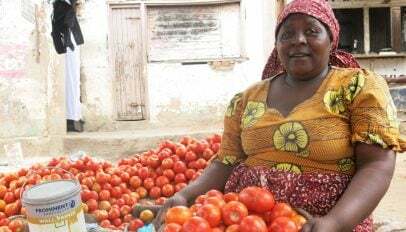 In the two decades since FINCA launched operations in Uganda, the country has cut its poverty rate down to 20 percent. This remarkable achievement is challenged, however, by its fast-growing population. At its current rate, Uganda's 40 million people could double in two decades. Nearly 60 percent of its population are 18 years or younger, and they face an increasingly tough job market. 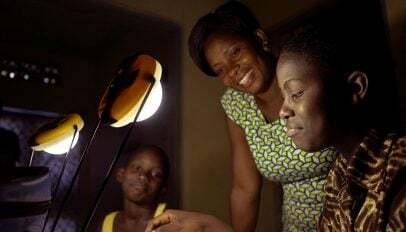 Despite reductions in poverty, many people live without basic services, including the 90 percent of rural households that still rely on candles, kerosene and fuel-wood for energy. In that context, FINCA's mission of helping people to create their own jobs and income is more urgent than ever, so the Ugandan economy can absorb this burgeoning population, especially the youth. FINCA Uganda was the first organization in the country to be granted a license as a Micro Deposit-Taking Institution (MDI), enabling it to offer a full range of savings, credit and other financial services. Uganda had an early start in the development of an active microfinance sector, so it generally fares a little better than the surrounding countries in financial inclusion. Still, 67 percent of adults lack a bank account. While striving to fill this gap, FINCA Uganda has achieved a very strong presence in the rural areas, home to 75 percent of its borrowers. Armed with its deposit-taking license, FINCA has also built a growing base of micro-depositors, who now outnumber borrowers 3:1. These include the youth, who are serviced through savings products tailored especially to their needs. While the overall poverty rate in Uganda has gone down, many people still struggle to achieve a decent quality of life. Half of FINCA's borrowers lack access to clean water and electricity in their homes. These conditions are especially harsh on children, whose health and education are undermined by the lack of sanitation and lighting. Like their peers in neighboring countries, our clients in Uganda often do not own a home. This deprives the family of comfort and security, and denies them an important asset for accumulating wealth over time. FINCA customers also live in households with poorly educated breadwinners—56 percent of them have only a primary education or less. No data has been collected yet for this indicator in Uganda. Outreach to women is a bit lower in Uganda than in the region overall. Most of the women that we do reach, however, are the principal source of income in their families. This dependency on women's income is especially high throughout Africa. In Uganda, almost half of them are single parents, bearing the full responsibility of providing and caring for their households. Thanks to the help of FINCA's microfinance loans, Betty Nakintu could create the school of her dreams in Kampala, Uganda. With BrightLife's solar lamps and clean cookstoves, Walakira Grace is saving time and money and improving her family's well-being.